Was born on the 5th of May, 1950 in Ostend, Belgium. She graduated from the Academy of Arts in Ostend in 1968. Mia later went on to study Ornamental Art in Ostend with Hubert Minnebo, English water colors in Brugge, “Schüle des Sehens“ with O.Kokoschka, sculpting with Jacques Hillen, and bronze casting with Paul Van Gyseghem. Her extensive works cover various artistic techniques including bronze, alabastar and marble sculpting, and painting with mixed media on canvas. Her first individual exhibition took place in Jabbeke near Brugge in 1975. She has since achieved various awards in international competitions resulting in exhibitions in Belgium, The Netherlands, New York (U.S.A.) and Geneva (Switzerland). 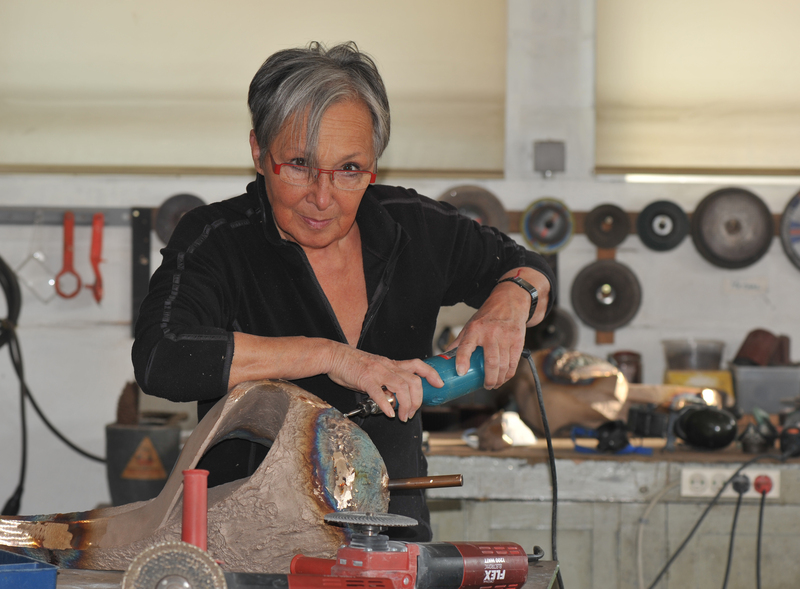 In a career now spanning nearly 40 years, Mia Moreaux´s sculptures and paintings are part of various art collections all over the world. Her works can be viewed throughout Europe, in the U.S.A., U.A.E., Jordan, Australia, Japan and South Africa. Locally, she has achieved huge success with multiple works in many public and private art collections including those of the Belgian National and Local Governments and Ostend’s Museum of fine Art. Monumental sculptures in bronze are erected in Ostend, Oudenburg, Westkerke and Bekegem in Belgium. In almost all European countries. In California, the United Arab Emirates, Jordan, Australia, Japan and South Africa.